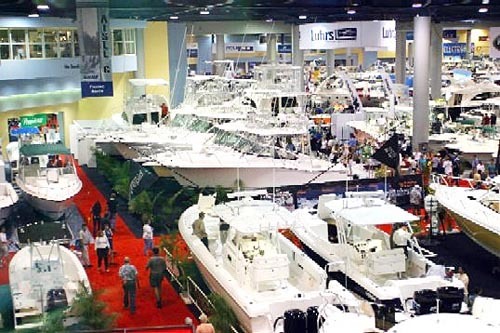 Miami Boating News :: The Miami International Boat Show & Strictly Sail is just around the corner! The Miami International Boat Show & Strictly Sail is just around the corner! Plenty of reasons why you won't want to miss this year's show! MIAMI, FLA. – January 9, 2013 – For the last 72 years, one of the world’s largest boat shows has been held annually in Miami. The Progressive® Insurance Miami International Boat Show returns President’s Day Weekend, Feb. 14-18, 2013 - an event that draws more than 100,000 visitors from around the world to explore the best of boating, and generates big business in Florida and for the U.S. recreational boating industry. Biggest boating business news in the industry in years. The U.S. recreational boating industry is seeing the tide begin to turn for new powerboat sales with an estimated 10 percent increase in 2012, according to the National Marine Manufacturers Association (NMMA). Early projections indicate the industry will see additional increases in 2013 by as much as 5-10 percent. At the Progressive Insurance New York Boat Show (first boat show of the season), dealers and manufactures reported increased hiring and sales, another solid positive industry indicator. We can connect you with these companies in Miami. The show features more than 2,000 local, national and international companies showcasing more than 3,000 of the newest boats, many making their world debuts, plus thousands of new gadgets, engines, gear and marine accessories. Be one of the first to board, review and report on the newest boats and more! Economic impact: The Miami Boat Show generates $817.8 million annually in gross sales and wages and supports more than 9,000 full-time jobs in Florida. The Miami Boat Show occupies three locations, uses 2.5 million sq. ft of exhibition space at the Miami Beach Convention Center and 1 million sq. ft. of carpet – enough to cover 20 football fields! National and international make-up: More than 45-percent of visitors that travel to the Miami Boat Show are from outside the state of Florida. Why more than 100,000 attend annually: The five-day show is an all-access pass to experience the boating lifestyle, with a chance to shop thousands of the newest in recreational boats and marine accessories while also participating in premier hands-on learning opportunities on-land and in-water. There’s a boat for every budget and lifestyle. Boats of all shapes and sizes are for sale at some of the best deals of the year – from luxury motor and sailing yachts to sport fishers, family cruisers and performance boats. Experience complimentary on-water sailing and power boating classes through the Discover Boating Puts You at the Helm program, plus fun from deck to dock with free sailboat rides along the bay and live music to soak up boating lifestyle. There are hundreds of hourly boating clinics for seasoned captains and new boaters covering sailing, big game fishing and Boating 101 from the top industry boating experts. See and board hundreds of new yachts and power boats in the water. Discover Boating Puts You at the Helm —clinics and seminars offering hands-on, on-the-water boating instruction, presented by the Recreational Powerboating Association (RPBA). Due to popularity, advance registration is encouraged. Enjoy touring the vast sailboats—including a wide selection of catamarans. 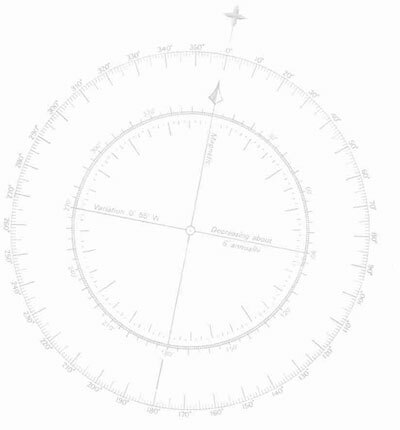 Shop for sailing gear and accessories from around the world. Attend seminars and enjoy a variety sailing features and attractions, including free sail rides, live music, a sailing simulator and hundreds of seminars from the industry’s renowned sailors. There are boats for every activity and budget, from personal watercraft to luxury cruisers, marine engines, electronics and accessories, nautical gifts and apparel, services and more! Experience the world’s premier sport fishing expo, the popular Big Game Room, celebrating its 10th year. Enjoy the Dive & Travel Harbor, showcasing diving gear, travel resorts and boating destinations. Meet celebrities,including History Channel/A&E’s Shark Wranglers Chris Fischer and Brett McBride. Thursday, Feb. 14 (Premiere Thursday): 10 a.m. – 6 p.m.
Friday, Feb. 15 through Sunday, Feb. 17: 10 a.m. – 8 p.m.
Monday, Feb. 18: 10 a.m. – 6 p.m.
Take advantage of $5 parking when you arrive before 9:30am ($10 from 9:30am until closing) to Sea Isle Marina. Ride the FREE Miami Trolley from the Convention Center to the New Yacht & Power Boat Show at Sea Isle Marina or Strictly Sail Miami at Miamarina at Bayside; or take the complimentary water taxi to and from the show’s in-water locations. Advance tickets can be purchased at MiamiBoatShow.com or StrictlySailMiami.com. Web: Visitors can now pre-shop the show online at MiamiBoatShow.com or StrictlySailMiami.com; get up-to-the-minute news at www.twitter.com/MiamiBoatShow; and find us on Facebook.